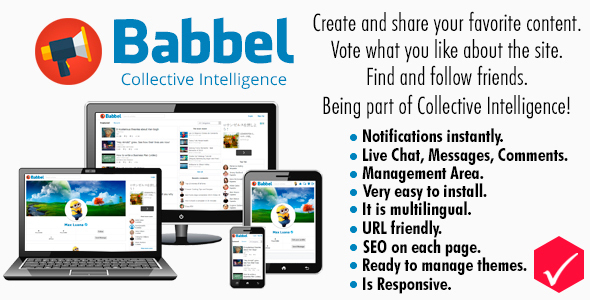 Babbel is a social network where the community generated knowledge. Babbel included as features: Messages, Live Chat, Comments, Shareâ€™s, Likeâ€™s, #Hashtags (in status), @Mentions (in status), Real-time Notifications. Users will have a private profiles, or public profiles.